Our extra sensitive glove provides superior chemical resistance and barrier protection. Generation Pink® Non-Sterile Powder-Free Latex-Free Nitrile Exam Gloves deliver proven protection for some of the toughest health care situations. Boxes now hold twice the usual amount of gloves for your convenience, savings and waste reduction. 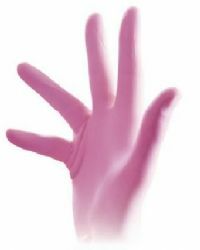 Generation Pink powder-free nitrile Excellent tactile sensitivity. Textured fingertips. For each case you purchase, $2 is donated to the National Breast Cancer Foundation.